Financial Staffing Solutions are looking to grow their successful team of financial recruiters. Our state of the art office is located right by the Central Line. A good deal of our clients are in based in and around London and Essex so we enjoy the dynamism of the capital, without the stress of the regular rush hour commute. Doesn’t that sound great? So if you’re an experienced recruiter, ready to take a step up, earn a city salary locally and bring a new level of excellence to the business, contact us today. We have a strong client base, excellent IT infrastructure and support together with opportunity to start making placements immediately. Why are HMRC making these changes? The impetus is largely to do with wanting to address the tax gap (the amount of tax HMRC estimates goes uncollected), which is believed to be costing an astonishing £36bn a year. ‘£9.1bn of that is estimated to be due to error,’ Palmer says. Not fraud, he is at pains to point out; ‘simply mistakes by small businesses in their record keeping.’ HMRC believe that moving to quarterly reporting will ensure the data capture has more integrity, and this is hoped to reduce the tax gap by almost £1bn a year over time. Factfile: When will the changes come in? For self-employed, partnerships and unincorporated landlords with turnover above £85k: start on-boarding April 2018. For self-employed, partnerships and unincorporated landlords with turnover above £10k and lower than £85k: start on-boarding April 2019. Companies and complex partnerships (i.e. turnover above £10 million): start on-boarding April 2020. Those with turnovers below £10k will not be required to file quarterly tax returns until their year-to-date-turnover exceeds £10k. Clarification for VAT-registered businesses: it’s entirely possible that from April 2019 a VAT-registered business will be required to file MTD-compliant VAT returns, but not file quarterly their income and expenditure reports, as VAT reporting and tax reporting are separate. Note 1: ‘On-boarding’ means ‘begin filing quarterly returns using MTD software. Your first quarterly filing may be later than these dates depending on your financial year end. Note 2: The above is designed to be information that bookkeepers need to know, and pass on to their clients, and is accurate at the time of writing. More information from HMRC is likely to be forthcoming over the next few months. Mark Blayney Stuart is Business Journalist of the Year, Wales Media Awards 2017 and Former Head of Research at the Chartered Institute of Marketing. Social media channels like Facebook and Twitter are not just great drivers of news, engines of change and creativity, and sharers of pictures of dogs that look like Samuel L. Jackson (Google it, you won’t be disappointed); they can also be powerful tools for modern accountants to leverage themselves within the wider industry and society at large. Did you know that 89% of recruiters report having hired someone through LinkedIn? Or that over ten million people found their current job through LinkedIn? Related: 4 Rookie Mistakes You Need To Avoid On LinkedIn If you’ve been satisfied with a “placeholder” LinkedIn profile up to this point, or feel like landing a job through the site isn’t a viable option, STOP. If you’re looking for your next career move in Finance or Accountancy, get in touch with us today! The most daunting part of the interview process is being quizzed about your employment history, your credentials and why you’re a good fit for the role and company you’ve applied to. The type of questions you’re likely to be asked are not necessarily the things you think about every day, so you need to dedicate some time to reflect on your professional experiences, personal attributes and the reasons that make you the strongest candidate! Organising your thoughts and preparing examples of where you’ve truly excelled will help boost your confidence so that you leave your interviewer with a lasting impression. Strelka Institute for Media, Architecture and Design/flickr The job interview is a two-way street. You should be assessing the employer just as much as they’re assessing you because you both need to walk away convinced that the job would be a great fit … and that should start from the moment you take the hot seat. Welcome back to Resume Tip Tuesday! Come to CareerBliss every Tuesday for a brand new resume tip to help you in your job search. Check out the archive for resume tips galore! How to Ace Common Interview Questions There are few things which cause such conflicting emotions as finally landing a job interview. A job interview is always a daunting prospect, and in today’s economic downturn, companies are being more selective about who they hire. One of the ways they can filter out the unwanted applicants is to ask difficult questions. Very often how these questions are answered makes the difference between success and failure. We hope you find these tips useful for planning for your next interview. 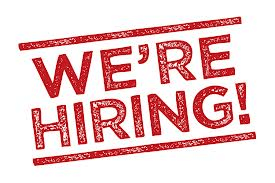 If you’re looking for a Finance or Accounting role in London feel free to get in touch, we’d love to help! There is a revolution happening right now. From multi-nationals to SMEs and everything in between, a new digital economy is taking hold and it demands your attention. Digital technology is running rampant through the business world, ending dynasties, breaking down sector boundaries, and forcing traditional businesses to diversify or fail. Nearly overnight, ‘digital first’ start-ups can be transformed into market leaders. 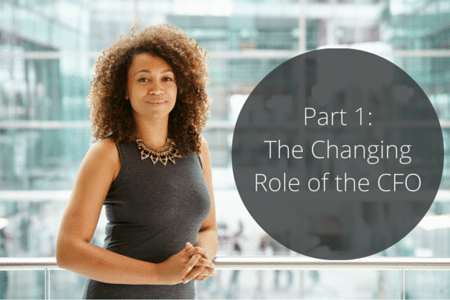 The speed of change that’s occurring is unheard of. In remedy, CFOs must strive to pre-empt what lies ahead, or at worst, react to market changes. CFOs must be unafraid to upend their own organisation’s operating models, and be willing to invest in the emerging technology required to build an end-to-end digital enterprise. 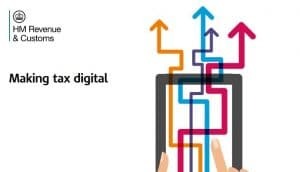 Undoubtedly, there’s a lot of evidence for the need for digitisation, yet according to an EY study, only 50% of CFOs surveyed consider it a high or very high priority in the next three years, and only 49% responded that they will make a high or very high contribution to the shift to digital. 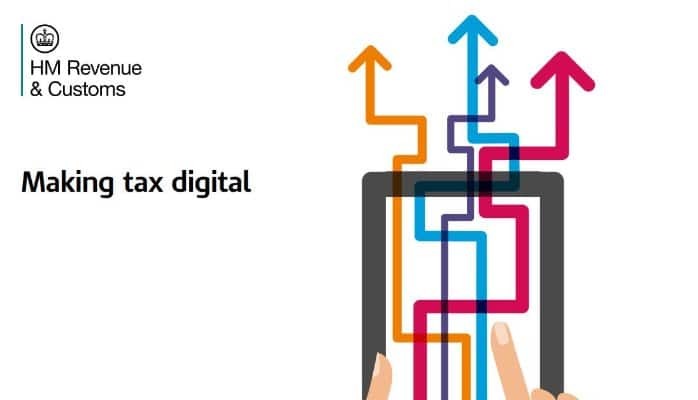 If CFOs want to continue to act as a strategic business partner as they have in recent years, they’ll need to take a strong lead in the race for digitisation, equipping businesses with the range of digital tools and technology needed to forge ahead. CFOs will however face a number of challenges in driving digital transformation. The complexity in moving from legacy systems is one of the biggest obstacles, and often draws resistance from across the board. To get the buy in from all departments, you’ll need a thorough understanding of the benefits, and be able to show that whilst the move may be costly and time consuming, the ability to bring together data from every area of the business under one roof will be worth its weight in gold. 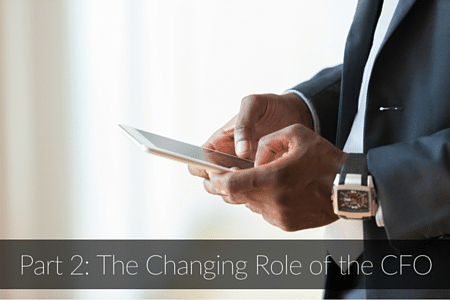 The role of finance and the CFO has changed beyond comprehension in the last decade. The recent global financial crash brought CFOs into the limelight, earning them both respect and recognition. As digitisation continues to disrupt everything from financial models, to business models, regulations to valuations, CFOs are without a doubt, under immense pressure to react, forecast and drive business change. In the past, the role of a CFO was of a fiduciary duty, mainly concerned with looking back, driving efficiencies and managing budgets. Today’s CFO is expected to carry that forward whilst adding strategic insight that can shape business and operating models. CFOs of the future will need to be curious about every area of the business, as consumer experience, customer relations and branding become inextricably linked with company value. With this change in focus, future CFOs will need the technical know-how to guide business decisions and build the much-needed digital infrastructure. In a recent CFO Research survey, 93% of the senior finance executives surveyed believe that the CFO of the future will need a much stronger technology skill set than is currently required for the job. For digitally savvy CFOs and forward thinking companies, the benefits of embracing digital are boundless. Principally, the proliferation of Cloud computing will allow companies to consume software innovation as and when it happens. In the past there would be lengthy waits for IT departments to upgrade in-house applications. Now companies can access the latest software as soon as it is available through SaaS providers. A large majority of this tech is focused on facilitating access to big data, and herein lies the importance for finance departments and CFOs. Cloud based technologies have opened up access to real time data, not only in the financial realm but also in more intangible assets such as customer satisfaction, quality of business processes and customer relationship data. The growth of cloud based ERP and performance management systems are helping CFOs to see the bigger picture, providing one truth, where all the data points are connected rather than being viewed in isolation. In doing so CFOs will be able to strive towards a more customer-centric future, focusing not only on the financial numbers, but on strategic growth through a greater understanding of consumers and their needs. If you’re looking for your next career move, or need to hire a finance professional, get in touch with us today. As a finance professional you probably use Excel on a daily basis, but are you using it to its full potential? In this week’s round-up post we’ve featured our top four picks offering lots of useful Excel tips and insights to finance and accounting professionals. Whether you work for a public accounting firm or are an accountant at a company, Microsoft Excel is likely an essential part of the work you perform. While I worked in public accounting, I used excel on a daily basis for numerous work assignments. VLOOKUP is one of the most popular formulas in Excel and for good reason. The ability to lookup a single value from a large set of data based on a single value is incredibly powerful. It might surprise you to find out then that VLOOKUP isn’t the only player in town when it comes to looking up data in this way. Draw an arrow to visually illustrate that two cells are connected. USER: I have a large spreadsheet with many calculations. Results from section 1 are carried forward to cells in section 2. It would help to graphically illustrate that one cell flows to the calculation of another. CPAs are often tasked with vetting or working with numbers in a spreadsheet. And while accountants are well-trained to identify and correct accounting errors, spreadsheets bring the danger of many other types of errors. Field audit results compiled by University of Hawaii professor and spreadsheet expert Ray Panko showed errors in 88% of 113 spreadsheets audited between 1995 and 2007. We hope you find these tips useful! If you’re thinking of making your next career move, feel free to call us – we’d be delighted to help. 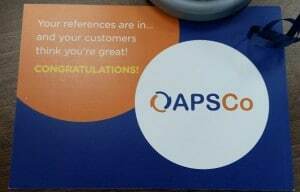 “We’re Great!” The official line from APSCo, the trade body representing professional recruiters. Financial Staffing Solutions has recently applied for membership to APSCo (The Association of Professional Staffing Companies) we were asked to provide references from clients and candidates in order to become a member. We were please to hear that our clients and candidates think we are doing a great job. This doesn’t mean that we are sitting on our laurels, we strive to provide a first class service. Well done to all the team. If your looking to recruit Accounting and Finance staff or seeking a new position, contact us to find out why people think we are great.